Remember when everyone thought YouTube was about to buy games-streaming service Twitch last year—like, really thought it was going to happen—and then the deal fell apart at the last second and somehow Amazon emerged with the big purple crown? Apparently YouTube's been busy since then. 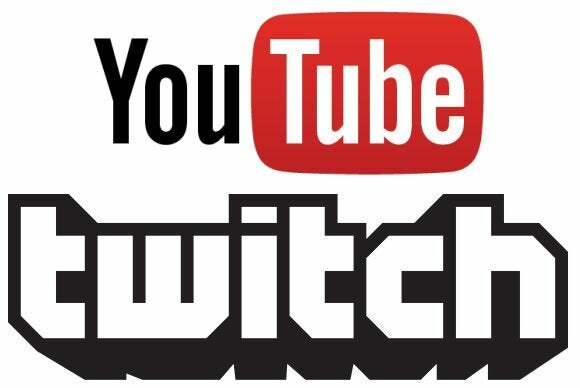 The Daily Dot reports that in the wake of its stymied buyout, YouTube has apparently decided to relaunch its own streaming-service YouTube Live as a games-oriented Twitch competitor. According to an anonymous source, "Gaming and e-sports in particular are going to be a big driving force for the new-look YouTube Live." And sure, you might say "Well wasn't that what YouTube's streaming service already tried to do?" to which I say...I thought so. But apparently Google thinks it just didn't try hard enough. "There’ll be huge opportunities for established streamers and organizations soon and I would say that the record numbers of e-sports viewers are only going to grow when Google start promoting and partnering with these events." It honestly wouldn't be hard for YouTube to beat Twitch as far as infrastructure is concerned. Despite the nearly $1 billion Amazon buyout last year, Twitch is still (to put it generously) hit and miss as far as streaming quality and chat delay are concerned. And forgetting the technical side of things for a moment, the fact remains that a criminally small percentage of Twitch's total talent gets paid through the Twitch Partners program. There's a reason most of the bigger names have stuck to uploading pre-recorded content to YouTube, even if that content is functionally similar to what could be accomplished on Twitch. Ad payments on YouTube are both reputedly higher-earning and accessible by a much broader cross-section of the userbase. All that to say: a revamped YouTube potentially has a lot going for it. In fact, the biggest obstacle to YouTube catching on currently is Twitch's marketing/presence at gaming events—people know Twitch does game video, so they keep using Twitch for game video. Rumor has it that the relaunch will take place or at least be announced during this year's E3 gaming expo, a.k.a. sometime between June 16-18. More information when we have it.